If your looking to double glaze your existing sash windows then it makes sense to go for our great sash window double glazing units. Double glazing does what it says on the tin. It creates an insulating barrier between two panes of glass to help deliver a high level of energy efficiency by stopping heat from passing through the window. If you replace all of the single glazed windows with energy efficient double glazing, you could save around 20% per year on your energy bills. As you will be losing less heat, you will be using less fuel. This means that not only will you be saving yourself money, but you'll be doing your bit to save the planet too. Less fuel consumption means less carbon dioxide emissions which means a smaller carbon footprint. 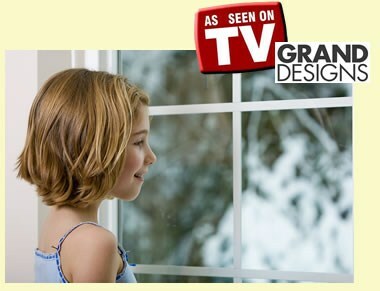 Double glazing, as the name suggests, is much thicker than its single little brother. This means that not only is it good at stopping heat escape, its also good at stopping noise getting in. Enjoy the peace and quiet, knowing you're saving money and energy at the same time. By reducing heat loss, there will be less draughts and cold spots in your home. Double glazing also helps reduce the amount of condensation that builds up on the glass panes on the inside of your windows. Increase the value of your home. As energy efficiency becomes more and more desirable in the home, many buyers or renters will be looking to make sure their new home is double glazed. Installing double glazing now, even if you are not planning on selling your home any time soon, means that you will reap the benefits and should also help make your property more appealing to potential buyers. Kensingtons only use the best quality materials for your double glazed sash windows which is why Kensingtons are the UKs only approved supplier and installer of slimlite double glazing. 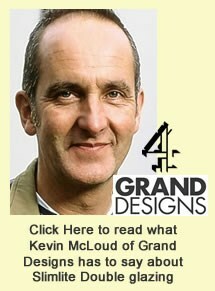 Slimlite Double Glazed Units, 10mm, 11mm, 12mm featured in Grand Designs. Unique 5mm perimeter seal depth. From any distance it looks like single glazing.By using and maximizing the latest technology it is possible to construct a double glazed unit with very small cavities or space between the glasses with a 5mm perimeter seal depth and selected insulating inert gas cavity to obtain U-Values to comply with Building Regulations and comparable or better than U-Values obtained by standard units with much wider cavities this is a specialist system, and like all options of double glazing sash windows is quite costly, also the units are filled with krypton inert gas and this is very expensive but achieves a u value in very small units than can normally only be achieved with large 28mm units filled with argon gas. The sealant used is a special product, again is quite costly and last but not least the weights need to be changed to lead weights. Cast iron weights are too long, and loose the amount of travel the window can make. Slimlite Double Glazing the original patent innovators of the very slim double glazed units with the unique small perimeter seal of only 5mm suitable for existing or new windows, have now introduced new innovative nanoscale technology to Slimlite for the external glass pane, which will improve light transmission by around 2% and is more scratch resistant than standard glass, and also provides an incredible Self Cleaning Action. This self cleaning action can be seen on a Lotus Leaf and is referred to as the 'lotus effect' with very high water repellence referred to as Hydrophobicity (Self Cleaning Action). The surface of the lotus leaf is not flat but consists of closely formed microscopic projections providing a variety of very different surfaces. Cost of slimlite glazing system. As an example of pricing a 0.9 m x 1.7 m sash window with four split panes and new lead weights fitted would be £675.00 inclusive. 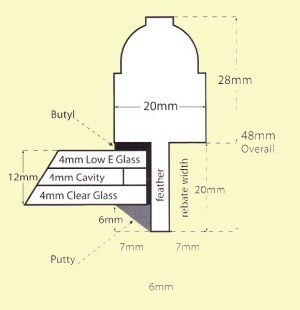 Slimlite Double Glazed Units are constructed with a 4mm clear outer pane with a selected cavity of 4mm, 5mm or 6.5mm, the wider cavity, increases the insulation, with selected cavity insulating inert gas, which only performs in smaller cavities, and inner pane of 4mm Low Emissivity glass. The emissivity coating is on the inside face into the cavity and reflects the long wave radiation or heat back into the room. 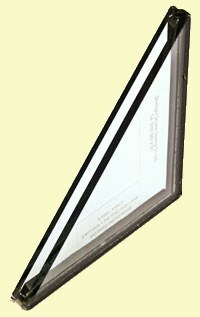 The warm edge technology perimeter spacer incorporated, ensures insignificant differential insulation value between edge and centre of glass. Today it is necessary for double glazed units to comply with Building Regulations (noted below) in respect of U-Values which are slightly different between Scotland and England. Slimlite Double Glazed Units can comply with both these regulations as noted. Construction (BS EN 1279 Part 2 Compliant). Window weights for sash windows require adjustment when Slimlite or any double glazed units are fitted to the sashes, which approximately doubles the weight. The best weights are extruded lead weights with a center hole for the cord, for easy adjustment and cutting to any length. Most existing sash windows will have cast iron weights. A corresponding length of lead weight of approximately the same diameter or size as cast iron is around twice the weight of the cast iron. By replacing with lead ensures that the weight is the same length approximately and therefore the sashes will have the same amount of opening travel. 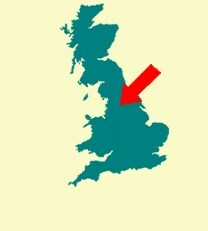 Altrincham, Bebbington, Birkenhead, Bromborough, Cheadle Hulme, Cheshire, Chester, Church Stretton, Denbighshire, Denbigh, Ellesmere Port, Flintshire, Helsby, Holmes Chapel, Knowsley, Knutsford, Liverpool, Llandudno, Lymm, Nantwich, Northwich, Oswestry, Prenton, Prescot, Rainhill, Rhyl, Runcorn, Sale, Shawbury, Tattenhall, Wallasey, North Wales, Warrington, Weaverham, West Kirby, Whitchurch, Widnes, Winsford, Wrexham. Kensington Sash Windows © 2012. All Rights Reserved.